Glenn Forsyth is a veteran recorded music retailer in the Australian Music Industry. He is best know for his work as the original music buyer for the first Virgin Megastore in Melbourne 1989 - 1992 (when it was actually first owned by Virgin) and for his own music store Dirt Cheap CD's in the Melbourne CBD which he owned and operated until 2015. In 2016 Glenn opened a new music store called Station to Station (https://www.facebook.com/s2station) near Southern Cross railway station. Glenn was also the music buyer for Leedin Records in Footscray Melbourne, prior to taking up the role at Virgin Megastore where he was the lead buyer. 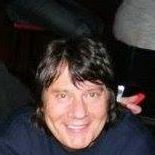 Glenn is a major contributing writer to Music Industrapedia and he is also a member of the Industrapedia Music Council. Please contribute any writings or images to this page if you have more information or history to share with the Music Industrapedia Community on GLENN FORSYTH. Please visit our Contributions page for details.